Fall has arrived! And with it comes shorter days, football-watching marathons, cozy comfort foods, bulky sweaters, and all things pumpkin spice. Don’t use these as excuses to let yourself get off track if you’re making healthy changes, though. There are plenty of benefits to the fall season that will support your health goals, such as longer evenings to spend inside food-prepping, cooler weather for exercising outdoors (or during commercial breaks – everything counts! ), and ALL the fantastic seasonal foods that make healthy eating delicious, too! Eating seasonally not only tastes better and is cheaper, but it’s also better for you. This is a whole other topic for another time, but in a nutshell: foods are highest in nutrients when picked at their peak ripeness. 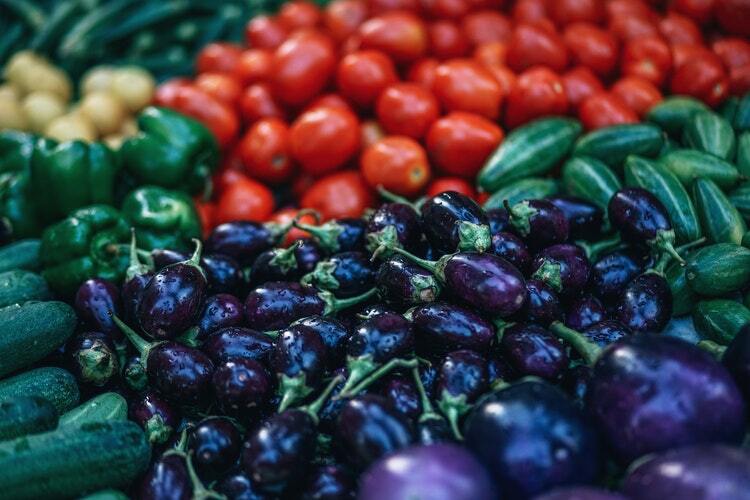 So, foods will be most nutrient-dense in their prime growing season, when they are harvested closest to where they are sold, and conveniently, when they are most flavorful! Use the list below to enjoy fruits and vegetables at peak production through the Fall months (September, October, November). 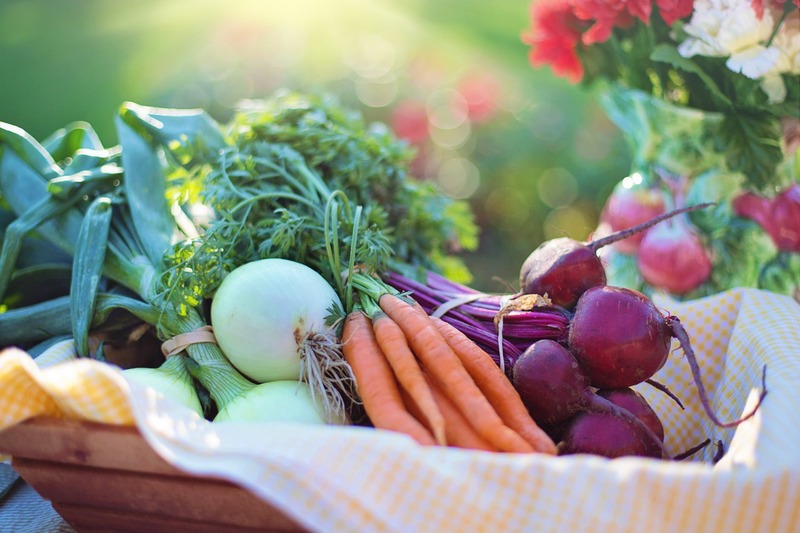 Fortunately, many fruits and veggies have a growing season which spans more than one calendar season, making them optimally nutritious for much of the year. 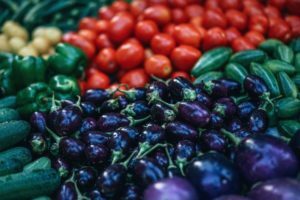 For example, apples and pears belong to the list of both Fall and Winter seasonal foods, and eggplant and zucchini are two veggies that produce most heavily from late Summer well into Fall. Try one or more of the recipes below to enjoy the season’s most flavorful foods in a healthy and delicious dish! Ratatouille This is a hearty, plant-based dish from France that is loaded with seasonal veggies and flavor! Preparation: Before beginning to cook, cut all veggies to roughly the same size (this will ensure equal cooking and consistent texture). Mince and measure your garlic, salt, and pepper into a small bowl. Once prepped, heat the olive oil over medium heat and add all veggies, garlic, and seasonings. Cook for about 10 – 12 minutes, until veggies are tender but not mushy and tomatoes have cooked down to create a “sauce.” Serve over cooked barley for a heart healthy meal full of fiber, vitamins, minerals, and plant-based protein. Preparation: Pre-heat oven to 400⁰. 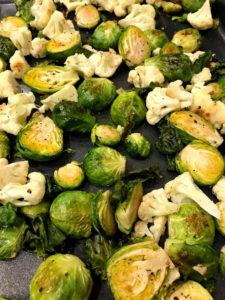 Wash your veggies with warm water, and then chop to equal size (brussel sprouts: cut off the bottom and discard, then cut in half; carrots: peel, remove ends, cut in half lengthwise, chop approximately 1-2” in size; cauliflower: chop into small florets roughly the same size as other veggies). Spread veggies in an even layer on a large baking sheet, drizzle with olive oil, and toss to coat (using a spatula). The oil will add heart-healthy flavor and prevent veggies from sticking to the pan. Roast in oven for about 20-25 minutes, until veggies are tender but crisp and lightly browned on the outside. Stir once about midway through roasting time. Season lightly with sea salt and black pepper, or get more creative. Try garlic powder and dried onion; lemon pepper; rosemary and pepper; shaved Parmesan cheese; sage, thyme, and black pepper; or dried red pepper flakes if you like a little heat. 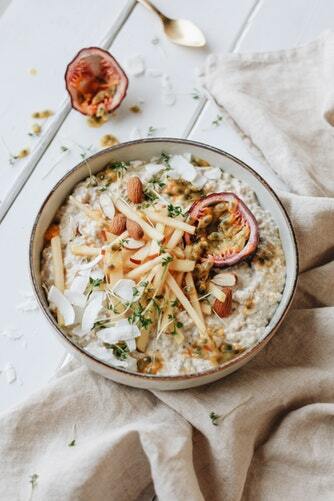 Preparation: Place oats in a microwave safe bowl and add water, milk, or milk alternative just until oats are covered. Cook for 1 minute in microwave. Remove and stir, adding liquid if needed to achieve desired texture. Stir in chopped apple and pecans. Sprinkle with cinnamon and nutmeg. Enjoy!